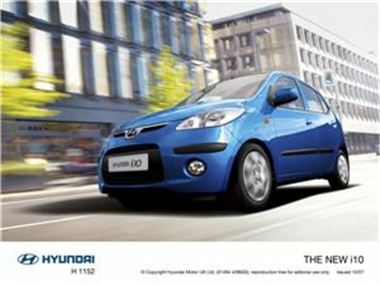 Hyundai's latest foray into the city car sector is practical, affordable and fun to drive, according to the automaker. The South Korean automobile manufacturer has also prioritised safety, giving motorists the option of installing a front child seat in addition to four airbags. Furthermore, those looking to pick up a large family car on a budget can expect to attain the five-seater for less than £6,500. Hyundai commented that the vehicle will boost its presence in the market. It stated: "The i10 is such an attractive, high quality package that its city car sales are set to double from current levels to around 10,000 per year." Meanwhile, the Asian firm has recorded a net income of 425.5 billion won (£232 million) over the third-quarter of the year. This represents a profit growth of 45 per cent during the period.